For All Your Estate Planning Needs. Including Wills, Trusts, Probate, Living Wills and More. Denver lawyer Donald Glenn Peterson Attorney at Law has extensive experience helping our clients navigate through the complexities of estate planning, estate administration and elder law. We value our clients and take their legal concerns very seriously. While we are committed to providing our clients with unique and creative solutions to their legal matters, we are also dedicated to providing them with personalized, high-quality legal representation at every step of the legal process. Regardless of whether you are dealing with a small or large estate, estate-related disputes or end-of-life care needs, our full-service law firm can help willmakers, beneficiaries, fiduciaries and others sort out the legal matters at hand in a way that will help them resolve their affairs as advantageously and efficiently as possible. The following are some of the specific areas with which our esteemed Denver lawyer can provide unparalleled assistance. Whether or not you have children, taking the time to work with our Denver estate planning lawyer to work out your estate planning needs can be crucial to minimizing potential uncertainties while maximizing the value of your estate and assets should you become incapacitated or eventually pass on. By setting up a legal estate plan, you can rest assured that your wishes will be followed and your beneficiaries will be taken care of for years to come. Incapacity planning, special needs trusts, living wills and insurance issues are just some of the estate planning issues that we have experiencing overseeing. Estate and trust administration can be a complex responsibility, and failing to abide by the specific terms of a will or trust can lead to costly, lengthy litigation. At Donald Glenn Peterson Attorney at Law, our Denver trust administration lawyer has extensive experience helping our clients administer various types of wills and trusts in order to help them minimize the chances of disputes arising. While elder law encompasses elements of estate planning, such as drafting wills and living trusts, it also pertains to long-term healthcare matters. By taking the time to work with the experienced Denver elder law attorneys at Donald Glenn Peterson Attorney at Law, you can get your affairs in order and make sure that your wishes regarding your assets, long-term care needs and other matters are ultimately fulfilled – even when you are no longer to communicate them to your loved ones. Probate litigation typically arises when any party involved in the administration or distribution of an estate takes issue with the will and/or how the estate is being managed. In most cases, probate litigation is an emotionally draining, highly stressful process that can be expensive and can embitter once close relatives towards each other. In such cases, the experienced Denver probate litigation lawyer at Donald Glenn Peterson Attorney at Law wants litigants to know that we are here to aggressively protect their rights and best interests at every step of the process. 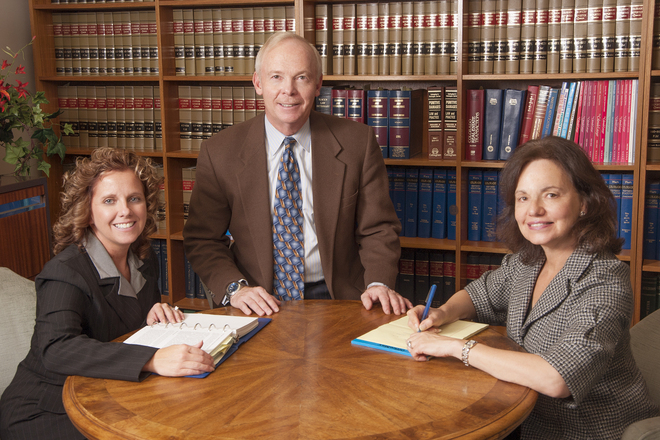 For more information regarding our services, as well as professional legal advice regarding the best manner in which to move forward with your estate administration affairs and/or elder law needs, contact the experienced and trusted Denver lawyer at Donald Glenn Peterson Attorney at Law by emailing us or calling (303) 758-0999.